As part of its efforts to boost educational opportunities for disadvantaged children, last year Louisiana enacted the Student Scholarships for Educational Excellence Program. The statewide program provides tuition vouchers to children from families with incomes below 250% of the poverty line whose children otherwise would attend public schools that the state has graded C, D or F. This year, roughly 8,000 children are using vouchers to attend private schools. Among those, 91% are minority and 86% would have attended public schools with D or F grades. 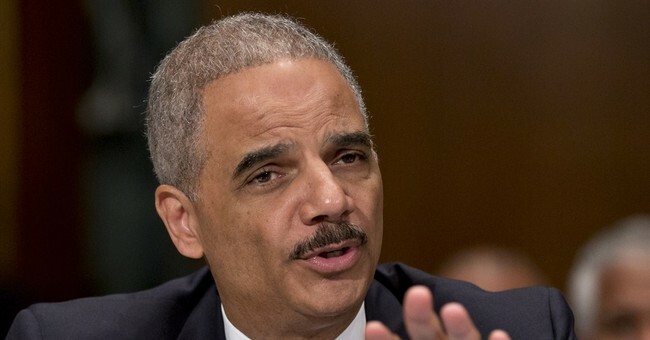 Attorney General Eric Holder argues the program runs afoul of desegregation orders, which operate in 34 Louisiana school districts. By potentially altering the racial composition of those schools by taking minority children out of failing public schools, the Justice Department asserts the program "frustrates and impedes the desegregation process." It has asked a federal court to forbid future scholarships in those districts until the state requests and receives approval in each of the 22 or more cases that might be affected. U.S. Senator Tim Scott (R-SC) was joined by 29 other senators in a call for Attorney General Eric Holder to explain why the Department of Justice has sued to trap needy children in failing public schools based on skin color alone. The Louisiana Scholarship Program, launched three years after Hurricane Katrina, grants poor children the opportunity to escape failing public schools and attend a different school chosen by their parents. Last year, the program helped over 5,700 needy children (91 percent of whom are minorities) and raised test scores -- all while saving taxpayers $18 million dollars. The Department of Justice is suing to return 570 of these children tofailing [sic]schools, claiming that a school’s racial make-up is more important than providing opportunities for students. For example, the Department of Justice argues that six African-American children should be returned to a failing elementary school, to change the school from 29.2 percent to 30.1 percent African-American. Last month, Senator Scott joined Louisiana Governor Bobby Jindal and former Florida Governor Jeb Bush to call on the Obama administration to halt the lawsuit and allow students the greatest chance to succeed. The program works. From 2011 to 2013, students who had been trapped in failing schools and now attend scholarship schools showed improvement on literacy and math tests. The share of students performing at grade level rose 7 percent, state data show, even though in 2013, 60 percent of students taking the test had been in their new schools for only eight months. More than 90 percent of parents of students participating in the program reported satisfaction with their children’s schools. This opportunity is perhaps these children’s best chance to escape the cycle of poverty. No one in their right mind could argue that the Justice Department’s efforts to block the scholarship program will help these kids. This can only be an attempt to curry favor with the government unions that provide financial largess and political power. President Obama should do the right thing and order the Justice Department to drop the lawsuit. Not because I am asking, but because the parents and children in the scholarship program deserve an opportunity. For generations, the government has forced these families to hope for the best from failing schools. Shame on all of us for standing by and watching generations of children stay in failing schools that may have led them to lives of poverty. Again, don’t forget that the program is actually saving taxpayers money. Low-income, minority children in Louisiana are now attending better schools for less. So what’s not to like? The Holder Justice Department, I think, has a lot of explaining to do. And it's time they finally did.